Bridal shower poems are unique messages incorporated into the bridal shower plans. Comical or serious, they can be used on the invitation, during a game, or on the party favor. A poem can be used for the toast, and an appropriate one framed, makes a cherished gift. Friends may put together rhymes based around the party theme---beach, garden, etc. Those hosting often use them on the invitations to announce the theme. A simple poem on a banner around the room, can be a striking decoration. *** Do you have any favorite poems for bridal showers? Share them! Bridal shower poems can be short and sweet, or more elaborate. You, or someone you know, may be a good writer. Ask around. You may be surprised at the talent you find. Two (three,or more) heads are better than one. Together, you may come up with the perfect saying. To help the process, make a list of some of the good times shared with the bride-to-be. Do you have a special childhood memory? Start there, then add events through the years. If you met as adults, think about the traits or even hobbies that brought the two of you together as friends. 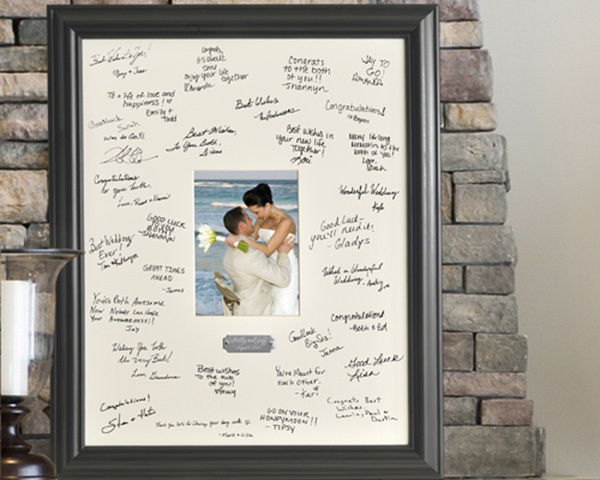 Add your own personality and memories of the bride/and or groom, for the perfect speech. It is easy create a unique piece for your bridal shower or any other part of your wedding plans. • The following is a sample of a rhyme that has been used (and varied) through the years. Hand out paper and pencils or pens, and let the competition begin! 10 points for something blue. You get 5 points for sharing your bed. You get 1 point for each. How many do you have? Let’s see how much. Next count your buttons, they're each worth 3, and another 3 for showing your knee (wearing a skirt or dress). Now, all you ladies who have wedded bliss, you deserve 5 points for this. He loves you so, he loves you not, minus 2 points if you haven’t tied the knot. Roses are red and violets are blue, if you’re wearing flowers, then you get 2. June is for brides, September is too, if you were married or engaged on either month give yourself 2.
give yourself 5 points if you remember your first love. This game is over, wasn't that fun? Count up your points and let’s see who won! Sentimental bridal shower poems make beautiful gifts when framed. Have Any Favorite Poems for Bridal Showers? Do you have a great poem or rhyme for a bridal shower? Maybe you received a gift with a sentimental saying you loved, an invitation with just the right words, or a favor with a funny rhyme. Maybe you write poetry. Share it! There's nothing left to say On this fine, fine day. It's all been said again and again, Have a happy marriage, amen. • Go from bridal shower poems page, to Bridal Shower Ideas For You homepage.